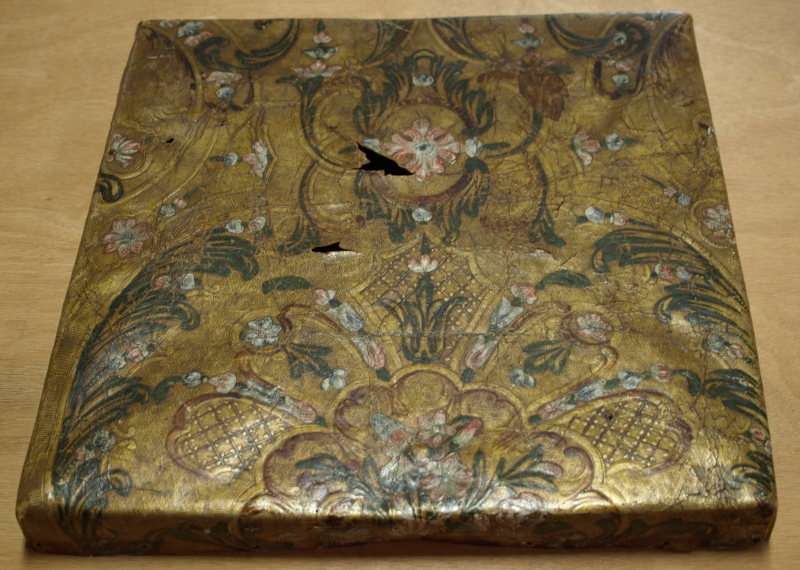 Moncla as replacement for a worn Gilt Leather seat. and try to capture the right feel of the panel. Thus our Swedish Annika From Lages AB removed the Gilt Leather seat and made a secure box for shipping. This 18th century design is interesting because there is no painted the background. 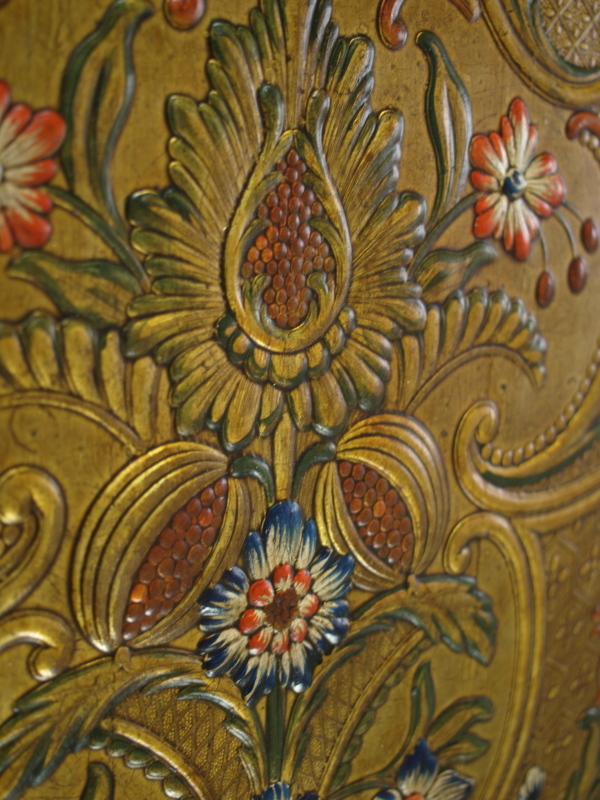 We are looking at a panel that has polychrome highlights on a gilded ground. This reduces the interaction of colours which results in a quieter, less dramatic, panel. 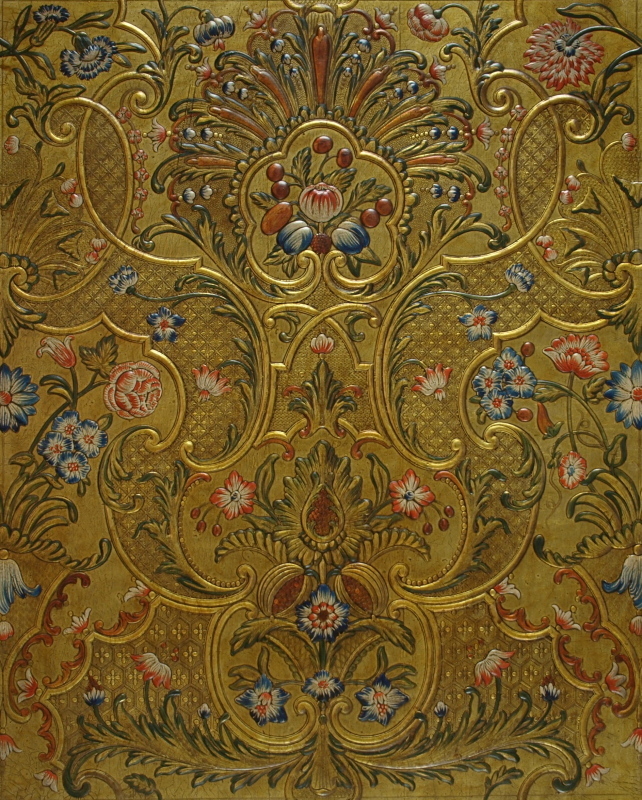 in addition to the polychrome highlights and the gilded ground. They decided to do it differently….. Hey ! This is a free world. 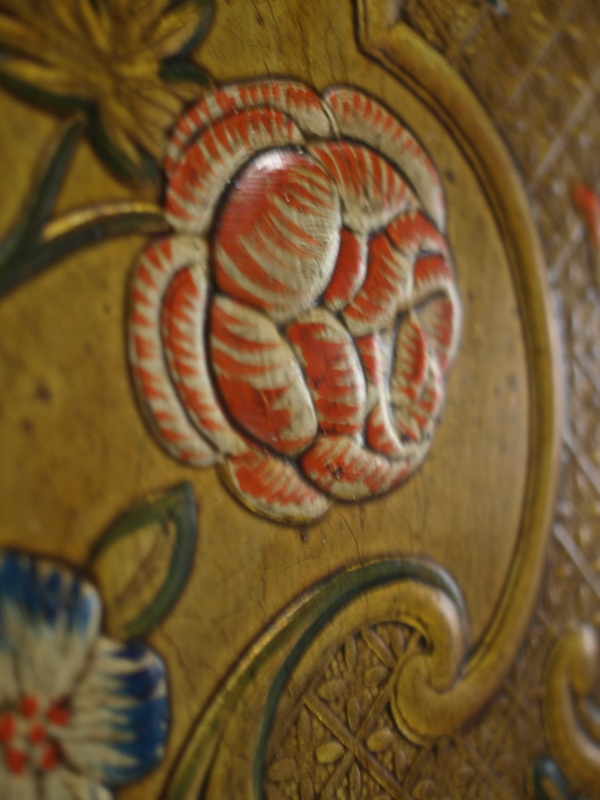 The gilding as an approximation and its, believe me the hardest thing to get right. 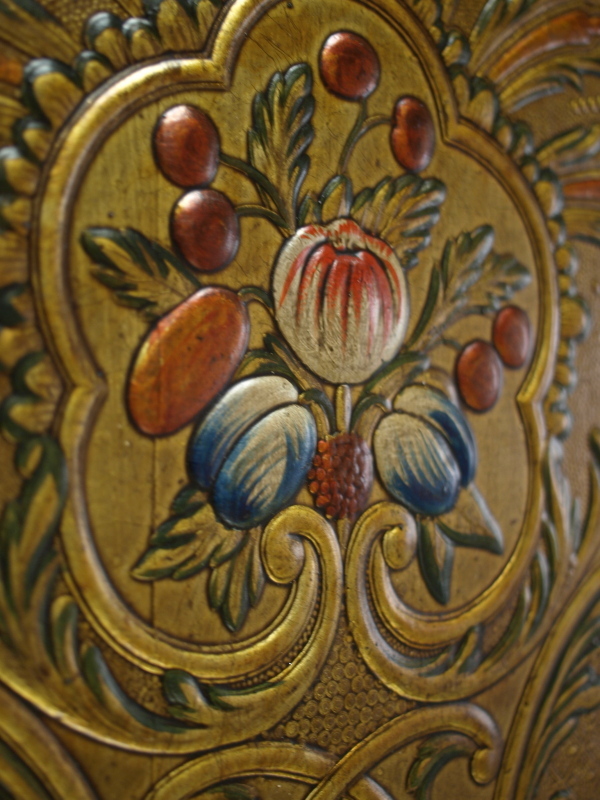 All polychrome work in the spirit of the 18th century sample panel. Some details for you appreciate. what kind of gilding do you use on the silverfoil? Congratulations for the painting!